Art is not arbitrary. A fine painting is not there by accident; it is not arrived at by chance. We are sensitive to tonalities. This website is dedicated to the artist Frederick Sommer (1905-1999) and provides information about his life and work for the beginner as well as the art historian or collector. We REALLY want to hear what you think of the book (and website) when you see it!! If you have a memory, impression, or a research project involving Frederick Sommer that you want to share, feel free to Contact the Foundation. We encourage serious inquiries about Frederick Sommer on any level. Frederick Sommer, most widely known as a photographer, also maintained lifelong interests in drawing, painting, collage, poetry and prose. His photographs were first collected by the Museum of Modern Art, New York, in 1941 as part of the Image of Freedom exhibition, and MOMA would go on to collect over 45 pieces in the coming decades. Since then over 50 museums have added Frederick Sommer’s work to their collections, through purchases and gifts, with the J. Paul Getty Museum in Los Angeles, CA, and the Center for Creative Photography, University of Arizona, Tucson having the two largest holdings. More about collections can be found under Research. In fact, in the Research area you will find information about Sommer that ranges from a basic chronology to contact information with data sheet for rights and reproduction requests. 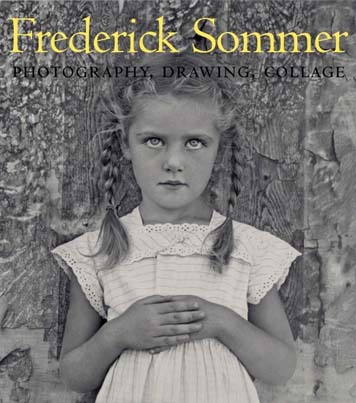 This is where we hope to provide the background information that would help you understand why Frederick Sommer is included in most every historical survey of photography published since 1970. On an introductory level there is a recommended reading list accompanying the chronology. We are compiling a full bibliography, a list of exhibitions and details from Sommer’s history uncovered during recent research, along with questions that we are still trying to answer. Seeing Sommer’s artwork first hand is an experience that cannot be replicated on a screen, so included is a list of museums where originals by Sommer can be viewed (we suggest making an appointment!). In our Galleries you can find a representative sampling of the full variety of Frederick Sommer images: photography, drawing, musical scores and collage. Details about process, speculation by Sommer or others regarding the evolution of certain work will occasionally be included in the descriptions underneath the image. Current Info is where events such as auction listings, upcoming exhibits or announcements will be posted and updated (i.e. a new Sommer book will be available May 2005!). This website is produced by the Frederick & Frances Sommer Foundation. 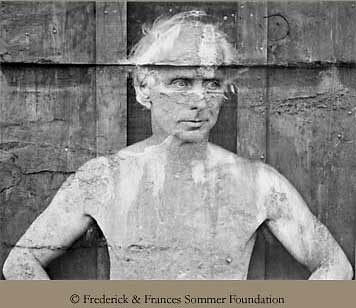 The Sommer Foundation is a 501(c)3 that holds the copyright for all of Frederick Sommer’s words and images. More about our organization, what we are doing, and hope to do, can be located under Foundation.